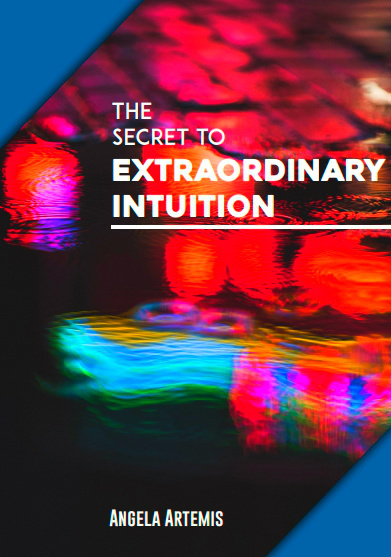 If I told you there was a simple way to boost your intelligence, reach your highest potential, feel peaceful and serene – and, that this simple thing could put you in touch with an infinite source of creativity, and love in just minutes a day. Would you be interested enough to want to commit to it? You probably guessed that I’m talking about meditation, right? Meditation is the simplest and most effective tool there is for spiritual development. Reading books and joining groups of like minded individuals is great but, when it comes to actually making consistent progress only the daily practice of meditation will kindle your spiritual growth. Awakening and transforming spiritually takes place gradually. The expansion of consciousness is slow – a bit like the process of a water flowing over rocks in a river; eventually with enough time you’ll see that the water has carved a deep “S” pattern into the landscape and smoothed out all the jagged edges in the rocks. It takes commitment and a deep desire to stay the course until the beginnings of that reshaping becomes apparent. And of course – you’re never done either, just like the water flowing in that stream is never finished reshaping it or the rocks it flows over. There’s also never an end to our spiritual growth – we can only continue to evolve. Life experience is the premier teacher in all things. We learn through our mistakes and through the pain those mistakes cause us, but if we choose there is a way to grow spiritually by expanding our consciousness through meditation, rather than through painful experiences. 1. The first thing you might notice when you start meditating is that you feel calmer during the day. Learning to slow down thoughts allows us the space between all the mind chatter to experience true peace of mind. This marvelous feeling of serenity is enough to keep us committed to a practice of meditation. 2. Slowing down our thoughts also creates greater clarity in our thinking. We can focus on one thing without the distractions of hundreds of thoughts clamoring for our attention. When we can direct our thought with precision we’re able to think more intelligently. We have access to more of our creativity which is no longer obstructed by constant thought-traffic. 2. After practicing for a while you’ll also notice that you no longer react to the things that used to push your emotional buttons. You’ll find instead that you’re able to “step back” and pause, giving yourself time to think and reply, rather than react. When we can step back and pause our negative reactions we’re also able to handle stressful situations better too. 3. Quieting the mind and letting thoughts go by allows us to really hear what we’re thinking too. We start to realize how many negative thoughts rumble through our minds each day. We begin to notice how often we put ourselves down and undermine our self-confidence. This new awareness helps us to understand that it’s these false beliefs that hold us back from reaching our highest potential. With time the false beliefs fall away as we stop listening and allowing them to stir us up. Free of those false beliefs, we now achieve our full potential. 4. Meditation brings our emotions into balance which is the state of being centered. When we’re centered we let go of extremes; highs and lows of emotion that pull us into the future or past. We return to a natural calm state of being. We live in the present with acceptance of what is happening in our lives now. 5.We’re no longer drawn into emotional sparring matches.We stop judging others, and assigning a negative or positive meaning to what we may be encountering. We’re therefore less likely to be pulled into dramas (both yours and other people’s) regarding these events. When we no longer allow our emotions to ensnare us we’re free to rise above them. And, when we rise above our emotions we begin to see that we’re all one. We begin to feel a greater love and compassion for all our fellow human beings. 6. 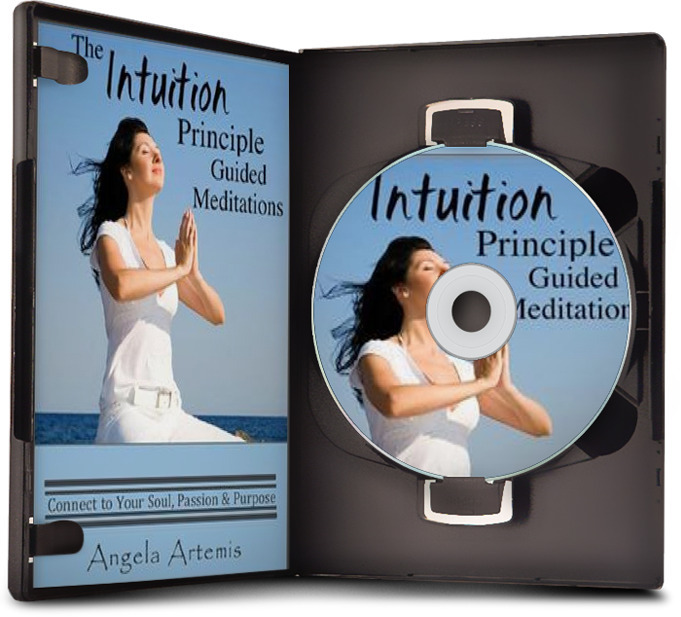 When we stop the perpetual mind-traffic divine guidance can actually get through. This state of thoughtless awareness allows us recognize the presence of the observer – who is our true self, higher self or soul. We begin to recognize that we are limitless with infinite potential. 7. The process of meditating will help you to recall your dreams. Many times answers and guidance are delivered through dreams. Sometimes I have only a snippet of a dream that I know was important when I wake, but if I meditate right away I can usually recall the entire dream. 8. Daily practice of meditation heightens intuitive ability. The more often you receive intuitive insight the more you will be in tune with your higher self and true purpose. Your life will flow more easily and opportunities to act upon your purpose will present themselves more frequently. It’s truly remarkable how much insight, self-control and emotional freedom the simple practice of meditation produces. We feel so much more love coming from others and coming from us – it really opens your heart. Your capacity for compassion, and interest in others over yourself increases tremendously too. And, once we become fully aware and begin making conscious choices, rather than allowing ourselves to be batted about like boats on turbulent waters, our lives glide effortlessly over calm seas toward the shores of our desired destinations. Has meditation affected you’re life? How? Share your experience. You never know when what you have to say will be of help to someone else. If you enjoyed this post please share it on Twitter and Facebook. Thank you! 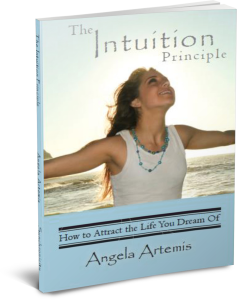 Learn to Listen To Your Intuition and Never Miss An Opportunity Again! The strange thing is that everybody meditates every day. We do not take time out to practice or leave it out of our lives. It happens automatically and with profound thought. Our imaginations vividly portray what we are thinking about although the ardent desire not to have the outcome dominates. It does not bring a sense of calm or clarity but wrecks our composure, health and vitality. If only we spent the same time and effort thinking about things that are true, honest, just and pure then life would be very different. Yes, to be sure – chronic worry is a form of meditation. Thank you for bringing that to my attention. I hadn’t thought of it that way. And, yes if we could just turn that into chronic dwelling upon the good things in our lives instead; what a wonderful life it would be! Meditation changed my life. It helped me to regain my creative juices–and continues to whenever I am feeling blocked. It helps resolve problems, relieves stress and allows me to achieve my goals. It is miraculous. I’m so glad to hear this! You’re right – it is miraculous. With meditation, I started small–a few moments a day, which grew as I practiced and there are now some blessed days I may spend huge quantities of time in nature meditating..or days I allow the entire day to be a living meditation..I am known to be peace filled regardless of external and I credit meditation and yoga with guiding me to great peace. I am at peace with myself so I am at peace with the world..For me, both meditation and yoga lead to great clarity within, and there is such an overflowing abundance of clarity it is a gift I joyfully share with others..
My children are learning to practice both..I love that they have these choices in life..resources I hadn’t been introduced to until much later..I know the quality of their life is excellent as they are learning not to be attached to external–I think that is priceless for them..
Not being attached to the external is so important. We can be blown about emotionally if all we do is take our cues from external circumstances – you are so right about that! You’re children are very lucky indeed to be learning this from you at such an early age. Yes, and you make another good point. I hadn’t thought about this before, but it makes perfect sense. When we are most uncomfortable with our meditation, or unable to focus is when we need to keep at it most, not only because it’s during the difficult phases in our lives that we need to be calm and have clarity, but because we might just be at the precipice of a huge break through too! Thanks so much for sharing that excellent insight with us here. I’m glad you enjoyed this post. Thank you so much for visiting and welcome to PbI! Meditation is the most valuable tool I’ve ever encountered for spiritual growth. I think it ought to be taught in schools! Taking the time out for self care and to love ourselves as you pointed out, is invaluable to our growth. Thanks again for visiting. I really appreciate your comment. I have returned to meditating after letting it go for a couple of incredibly busy weeks. I noticed the benefits immediately after starting up again, and this made me realize that letting it go due to being busy was not a wise option. Even a short session has a profound impact on my clarity and energy throughout the day. I went through letting meditation go for a while about 7 years ago when I was crazy busy in the mortgage biz and working 24/7. It, as you said, was a mistake. I’m glad you’re back to it now! We can’t put a price on how valuable clarity and energy are in our daily lives. Angela, an excellent post! Meditation would be the #1 thing I’d advise for spiritual awakening and peace, as well. And there are so many different practices to get us into the state of no-mind, surely there must be one that would fit every person. Although I enjoyed your metaphor of the river carving its mark in the earth over time, I must also add the caveat that spiritual growth may not always be linear or progressive, and many people experience dramatic shifts in consciousness or respond to a “wake-up call” rather suddenly, in my experience. Yes, it is good to be in a disciplined practice of meditation every day — but as to the rate of awakening, we are not in control and there is no rational, mind-based way to understand the unfolding of the process, which is different for everyone. I’m glad you enjoyed the article. Thank you for adding to the conversation here. I agree that there are people who “awaken” quite suddenly for inexplicable reasons, or due to having gone through great emotional upheaval. In my experience, those individuals who awaken suddenly are eager to continue to their spiritual growth. Meditation allows them to refine their spiritual qualities and forge an even deeper relationship with the divine. And you’re absolutely right, everyone progresses at their own pace. Thanks so much for stopping by and leaving your most insightful comments! I am so grateful to have found mediation back in High School it has become a “real” part of me like breathing. I do still need to grow into # 6 & 7 recalling dreams and strengthening intuition – I may be getting closer since, yes I have “known when what you have to say will be of help to someone else” & I feel that the goal of this “selfish action” is to help self others for the betterment of more than just self – the betterment of all whom we encounter. I think that you started meditating while in high school is wonderful! I’m sure it helped you mature in many ways. I’m glad you’re sharing this with everyone. We never know how we may have helped someone with our words. I have tried to do meditation a few times, my mind often wanders around before coming to a focus. Right now, with 2 busy and little kids, I try to do mini meditation. I have taken a art of living classes, where they teach how to breath properly during meditation, it was such as profound and powerful experience, I actually felt so relaxed that I fell asleep during the meditation 🙂 Now that was not a hero story to share but I wanted to share the power of relaxing that comes with the breathing and meditation. It’s hard to do anything with two little ones that need your constant attention. I give you credit for all that you accomplish! Falling asleep during meditation once in a while is okay. You probably really needed the rest! Relaxation is key, and not to be overlooked as a benefit of meditation. You’re right! Thank you so much for stopping by my friend! You got me at #6 and #6 :). The mind is rarely still, and an agitated mind is not only constantly on the move, but frantically in motion. I love Zen description of the mind as being ‘a monkey that is drunk on alcohol and stung by a scorpion’. Until we awaken to the nature of the mind through meditation we will forever be subjected to the screeching and screaming of an agitated mind. I don’t think the monkey will ever be silent! We may calm him down when we meditate but he seems to wake right up as soon as we’ve finished. Just got to keep on keepin’ on! Thanks so much for adding to the conversation here Rob! I don’t think you can under estimate the benefits of a quiet mind. I am working on meditation. I am beginner and at the moment I notice it is so easy to find my mind wandering. I feel like “grasshopper” in the Kung Fu series. Even I have trouble keeping my mind still Marion. It’s not just newcomers. 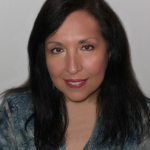 I’ve been meditating for 25 years, and I’ve even been an instructor! Our minds are definitely grasshoppers! You got me on the first bullet – I need some calmness in my life because lately it’s been go,go,go with my emotions being on a roller coaster. Being able to slow down and meditate on what it is that I really want to accomplish and do with my precious time is a gift that I think (know!) that I need to incorporate into my daily routine. Thanks for this reminder. I know what you mean about being on the go, go, go. It sets are mind reeling and we can’t latch on to calmness. I’m so glad that I could help out, my friend! Hoping you have a wonderful relaxing and serene weekend!